Idealistic artists chattering, drinking coffee, discussing every kind of art including great music, writing, drawing, sculpting filled the oxygen of my creative mind with much food for thought this weekend. Every year, for the past few, we have had the privilege of attending Hutchmoot, in Nashville. Always a pleasure to meet new kindred spirits as well as old friends. Great to breathe in the air of creative types. Clay and I were asked to speak about creating The Imaginal Home: Creating an Atmosphere to Cultivate Creativity. What a great time we had interacting with so many about this issue. Though we covered many topics very quickly in the short amount of time we had for our seminar, one of the thoughts that came to my mind, after talking to a number of parents, is how important components of character are in cultivating children to develop their talent. We all have conversations, don't we, that begin in one area and then lead to another which then takes a rabbit trail to another? So my conversations this weekend started with cultivating creative children and ended up on a whole different subject--we started out speaking about raising children who cultivate imagination and develop artistic talents and skills and we ended on the importance of character and honor to the process of becoming excellent in any field--especially in the realm of Christian artistry. So, it this blog seems a little rabbit-traily--it is because it is so! Of course in our session this weekend, we covered many traditions, values, books, lessons, tools that we used in our home to raise 4 children who are vested professionally in the arts. But one of the most important starting points--in training children in any discipline, is teaching them to submit to instruction. Often mamas say to me, "My child just doesn't want to do what I tell them to do." "My children resist me and I can't make them do anything they don't want to do." Of course children resist the instruction of parents--they are children and they have their own little wills that must be gently trained and confronted, over and over again. Just because we don't see results of training children every day, all the time, does not mean that your children are not learning and growing. Training a child to have godly character takes lots of time. But it will be very difficult to teach our children any skill or discipline until they have learned to follow our instruction. They must practice obeying so they will be used to honoring us and responding to our teaching. The finest artists, writers, sculptors, are those who are disciplined and have learned to work hard. We all have dreams or ideas of something we wish we could accomplish or do in life. Yet, the challenging work of becoming an effective artist, or an accomplished person in any work, is directly related to the character and integrity one possesses. So often we hear grace-based discipline thrown around and written about as a philosophy of child discipline. Many would say our book, Heart-felt Discipline is a grace-based book. However, I think there is some confusion in thinking that "grace-based" means lenient or non-discipline for a child. Scripture teaches that all children and adults need instruction, training, correction, admonishment, leadership! As with adults, so with children. We must learn to say no to our children again and again--just because we said so......We are their parents, we are the adults, we are (hopefully the wise ones) who are to lead them into paths of righteousness. God, as a father, also says no to us, often! He is concerned that we learn to listen to His will, to obey His instruction. Only as we bow our knees to His will, will we be able to live into our capacity for work, spiritual strength, accomplishment. One of the first principles our children were to learn in our home was to obey Clay and me. All children balk, because like us, they are selfish at heart and need to move from self-absorption to self-control, from immature self-serving ways to mature, servanthood ways of life. That means they will have to learn the meaning of the word "no" and that training to maturity will be a long process. Over and over again, "No, not this, THIS." And sometimes as parents of teachers or mentors in ministry, we forget that learning is a long process of repetition. But excellence demands that we move forward in the journey from immaturity to maturity, from uneducated to educated, little by little. How in the world does this relate to cultivating creative children? Probably the most important wisdom I wanted our children to understand was that God was holy, righteous, just, perfect--above all of us in every aspect of His being. I wanted them to learn to honor God, to bow their knee before Him in every decision, every value, every action in life. In short, I wanted them to understand what it meant to worship God with all their heart, soul, mind and strength was to have a heart that was willing to obey God's desires and commandments. But this kind of worship begins with a heart that understands submission and obedience to us, the parents they could see and understand. And so, our children were taught to understand that they were to honor us in their hearts by learning to respect us in their obedience. If they learned the pattern of obeying Clay and me, if they learned to respect us, then they would have a heart that was ready to submit to God and to honor Him in their thoughts, actions and values as adults. They learn to submit to us and to honor us so that they could learn to bow their knees to the living God. The ability to learn, to take instruction, to be humble enough to respond to admonition is a foundational requirement to becoming skillful in life. Sometimes this meant we had to take hours to get to the bottom of what was going on. We taught our children to talk to us, to learn to articulate what was going on in their hearts. Securing obedience is not a power play of authoritarian force. Securing obedience is an issue of learning to get to the heart of children, learning to listen to them, learning to teach them truths little by little. Sometimes our children need a good sleep from being exhausted, not a lecture about how to obey. Sometimes a confused teenager needed something delicious that was warm to drink, understanding what was going on in their teen heart. Teaching honor meant we honored our children by the ways we spoke to them, treated them. Teaching obedience is a long process of a gracious loving parent gently leading their children to a submissive heart, but requiring obedience and honor as a way of life. Sometimes in the early years, the pattern of obedience needed to be learned without lots of discussion. "Mama wants you to do this or that, and you pick them up in your arms and help them do the task that was requested. But it is a pattern of instruction that deeply leaves a pattern of submission out of a heart that wants to honor, because they have been served and loved. All children who have been trained to humility, obedience and honor have teachable hearts and can more easily take instruction. Children who are humble and obedient learn to receive instruction. They learn self-discipline as they practice honor and obedience which leads them to a life of practicing developing the muscle of self-discipline. It is all a process of laying foundations of character that lead to a life that will be disciplined to work hard, to take instruction and to have humility--all of which can prepare them to follow this process in becoming skillful at any type of work or art. One of the basics of raising creative children is raising children who have learned to listen, to obey, to follow directions, to practice what they have learned, to work hard. But the beginning of all of these aspects of becoming excellent at any aspect of artistry, starts with a heart that is familiar with respecting those who would instruct him. "Honor your father and your mother, as the LORD your God has commanded you, that your days may be prolonged and that it may go well with you on the land which the LORD your God gives you." Honor is the attitude of the heart that we seek to cultivate in ourselves as well as our children. Honor in the heart leads to submission in behavior. Our children were taught to respect us--period! They learned to obey us because we were their parents. Period. If they learned not to question our instruction, then they would learn not to question God's requirements and instruction to them. It is a process of growth over time. 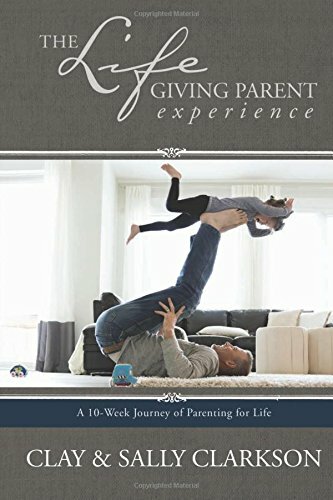 Parents get to model God and His ways to teach their children to learn first hand, in their every day moments of life, how to walk with God by the ways they have learned to relate to each other and their parents in their homes. 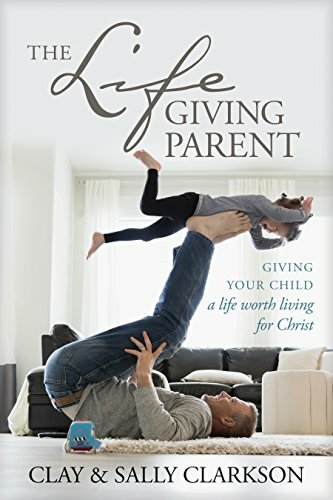 In our home, we always came to child discipline knowing that the goal of our instruction was to teach and train our children to obey us, to obey God, to submit to instruction so that they could grow and become strong inside, and live into their God-given potential. As Proverbs says, Correct your son, and he will give you comfort; He will also delight your soul." Last weekend, when I was with our boys in New York City, they indeed brought delight to my soul. 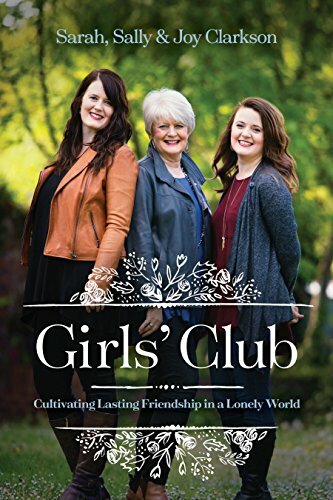 They spoke of the Lord, of ideas they are pondering, books they read, thoughts that inspired them, and they giggled with me over stories of life--they were such a delight to my soul. We have mutual respect, and have cultivated the deepest of friendships--that started with learning to honor each other, by learning to honor Clay and me. This kind of soul that was alive with light, truth, ideas, goodness came from a life-time of being trained and learning to respond to wisdom and instruction. Serving our children, loving them, investing lots of personal time, considering their age and personality were all a part of our very close, personal relationship with them. We considered them personally when we gave instruction and sought to understand their hearts every day, all the time. But, always, we sought to build our relationship on a foundation of honor, teaching them to honor us, because that is what God requires. And when a child learns to listen and obey, they learn to rule over their spirits, to practice honoring others by the ways they speak, the ways they behave and the ways they relate to others. Giving them these tools prepared them to succeed in adult relationships, in work and in life. By learning to honor us, our children learned to honor other adults, teachers, trainers, and to be able to submit to instruction--and eventually, after many years of practice--to honor each other. Honor lead them to learn how to work with people, to work with others in business, to lead others in classes they taught, to influence others and to become good friends and partners. I know this is a long, stream of consciousness article, but I do hope there is some value to what I have written. Not enough time for editing tonight! Still traveling and not enough time. So I am off with my sweet friends tonight in Nashville for a bonfire with Clay, but wanted to share a few thoughts that were mulling in my head. We shall return to podcasts soon--but I have to be home to do that. Grace and peace to your days and to your week.